Paul Worcester shares his recommendations for 10 books to read with your core group of student leaders. I am often asked what we do to train our team of student leaders. Answer: books. Using a book enables us to cover more topics than we can in a weekly training meeting. Using the right kind of book can motivate and inspire students in ways that I can’t no matter how hard I try! I don’t feel the need to be the fountain of all knowledge for our students. But I want to instill a hunger for them to be readers and lifelong learners. Helping students build the habit of reading now will help them for the rest of their lives! Here are 10 books that I would highly recommend that you take your students leaders through. Don’t feel like you have to read all 10, just pick one and run with it! This has proven by far to be the most motivational and life changing book for the students in our ministry. It is full of stories and packed with practical and proven ways to help them take steps of faith and make disciples on campus. If your students read one book while they are in college (besides the Bible) make it this one! We actually love it so much that we have integrated the book into our discipleship process. It is required reading for everyone who joins our Core Team of student leaders! The upperclassmen or staff person discipling them slowly walks them through and applies the principles in each chapter. Our ministry would not be what it is today if I didn’t pick up a copy of Fuel and The Flame as a Sophomore in college. Check out this interview I did with the author a while back talking about the book. Simple. Biblical. Classic. are three words I would use to describe Master Plan. This short book takes a “no frills” approach and looks directly at the ministry of Jesus the master disciplemaker himself. It is easy to read but it pulls no punches calling people to radical discipleship and urgent spiritual multiplication. Last Fall we walked through it with our student leaders and our staff took turns expanding on and applying what was brought up in each chapter. This book gives a great platform to give further training in areas related to each chapter. The principles in this book will always be relevant to college ministry because they are the very principles Jesus used to make disciples. This by far the most helpful book on how to disciple a new believer and train them up to the point where they will be a life time disciple maker themselves. It is a short, no fluff and realistic approach to discipling someone one on one. What else would you expect from a guy who was discipled by Dawson Trotman the founder of The Navigators? When we took our student leadership team through this book the students were so grateful for the ideas and practical applications. The concepts in this book are simple to understand but extremely challenging. You can’t read this book without being motivated to ask God to give you someone to disciple! Isn’t that something you want your student leaders to be focused on? If your students need a fresh boost of motivation for sharing Christ in a natural and relational way this book would be a great help. I love that Bill writes it in a way that just about any flavor of ministry could use. It is easily adaptable to fit most any context or ministry philosophy. We found the principles in the book to be a great motivator and encouragement for students. We used it to challenge students to aggressively pursue their Personal Ministry Targets, engage in the 3 Habits of Everyday Evangelism, and to “just walk across the room” in order to set up gospel appointments. Our ministry takes on a bit more aggressive approach than Bill may prescribe but his passion is contagious so it was easy for us to transfer that passion and the biblical principles into our strategies that reflect the “recruitment culture” of a college campus. It also gives a great vision for what evangelism can look like after college. This may be a less known book for those who are not involved with Cru but this book is such a good mobilization tool! It is written specifically to college students by one of the most fruitful and respected campus directors in the world. Roger has been on staff with Cru for over 40 years, lead several of the largest and strongest sending Cru ministries in the world and has people he has discipled serving The Lord all over the world. 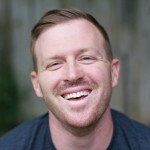 He is a frequent speaker at Cru conferences and has honed his content to challenge students to leverage their lives to fulfill the great commission in this generation. I caught myself saying “Yes! Yes! Yes!” over and over throughout the book. It is also fairly comprehensive. The book hits on theology, a strong vision for missions, evangelism, discipleship, prayer, stewardship, decision making, calling and eternal perspective. It is so much of what I wish a student would get from a book. It is perfect for taking your whole leadership team through. Harold is the Pastor of Hope Church in Fort Worth who God has used in incredible ways to train leaders and multiply churches. Over 100 churches and ministries have been planted all over the world from people going out from Hope. The “Heart Attitudes” described in the book are part of the “secret sauce” for creating a community that God uses to change lives. This short book is an easy to read and devotional style. The habits and attitudes described in this book are essential for every follower of Christ that wants to be a vital part of the body of Christ. They are also foundational for building a healthy team culture and unity. Spiritual disciplines for the Christian life is a comprehensive and practical guide to the most important habits every follower of Jesus should develop. From Bible intake to fasting the book covers a number of spiritual disciplines with plenty of specific advice for getting started. What I love about the book is that Donald is careful to provide the “Why” behind the spiritual disciplines he encourages us to use. He also provides solid biblical basis for each habit. The book is written from a gospel centered perspective and does a great job motivating diligence in these disciplines without falling into the ditch of legalism. I also love the fact that he includes some less common disciplines like evangelism and learning. Plus JI Packer wrote the foreword so you know it’s legit. I included several books on disciple-making in this list because as college ministry leaders we have “one job.” Our primary role is to multiply disciples by raising up and equipping students to make disciples on campus! Our student leaders will see the most growth and deeper experience with God as they pour their lives into other students. I would describe this book as a comprehensive handbook for helping a new believer take their first steps in following Christ. It’s almost two books in one. In the first half it gives an excellent “why” and “how” that takes someone through how to start a discipleship relationship with someone and walks them through the process all the way to helping your disciple start to share Christ and disciple others. The second half of the book goes into detail on how to help someone with 12 key training objectives that are foundational for every follower of Christ. The tips and ideas in this section are solid gold! Our Core Team read the first 8 chapters together one semester and encouraged them to read the second section on their own and use with those they are discipling. An excellent addition to a student leaders disciple making tool belt. This book had a huge spike in popularity a few years ago and as a result quite a few people have criticized it. At times young people have misapplied the principles in the book and ended up acting extreme or judgmental toward other believers who may not be as “radical” as them. I think most of the beef that people have with the book is not from the book itself but with young immature believers taking it further or in a different way than Platt intended. That being said, for our ministry God has used this book more than any other book to produce action and life change for students. We actually have taken students through Radical twice during our summer training programs and each time we were very glad that we did. At times students did need a little bit of guidance on how to channel the raw passion that oozes from each page. I would much rather redirect a student that is too fired up for Christ’s mission than one who is indifferent. It is much easier to steer a moving car than one that is standing still. This excellent book has a powerful description of the gospel, a courageous look at our stewardship of time, money and calling as well as an urgent biblical perspective on missions. Platt communicates many of the classic principles that John Piper communicates in books like “Don’t Waste Your Life” and “Let The Nations Be Glad” but in an easier to read and more emotional fashion. If you are looking for something to light a fire in your students to do whatever it takes to see the mission of Christ advance then Radical would be a great option! Praise God for giving His people so many solid resources! What books did we miss? What are some of your top ones? Jump over to our Facebook group to discuss and recommend. PS: Do you want even MORE? Here’s the Honorable Mentions. I would highly recommend reading these books and considering taking your students leaders through them. We have used many of these in our ministry as well.